Coconut's Fish Cafe opened in 2009 in Maui, Hawaii. 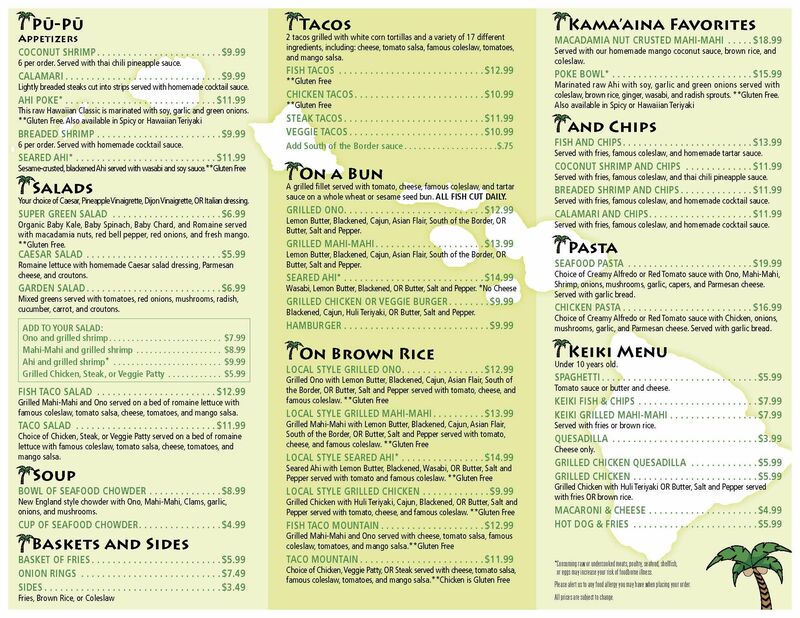 Our small restaurant quickly became a favorite with kama'aina (locals) and tourists alike, with our family-friendly atmosphere, custom surfboard tables, exceptional food, healthy food choices, and aloha culture. 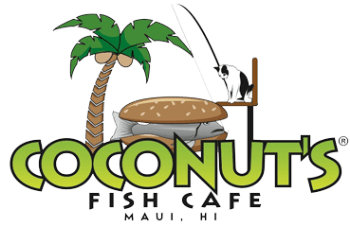 In 2013, Coconut's Fish Cafe opened in Scottsdale and has experienced the same success as our Maui location, success driven by the loyal patronage of the Coconut's ohana. There are now three locations in Arizona. Recently Coconut's Fish Cafe expanded to Sacramento, where our family is originally from. This family-run business is another example of Coconut's mission to serve excellent, healthy food while sharing the aloha spirit. Since Coconut's Fish Cafe opened, we have received numerous accolades. In 2013, Zagat awarded us a '27' for food, the highest tier reserved for "Extraordinary to Perfection." Also in 2013, we were featured in Travel + Leisure magazine in its list of "Top 100 Places to Eat Like A Local," and CNN's list of "Top 10 Places to Eat Like a Local" and their "Top 100 Seafood Restaurants in The World." Today, we are proud that every Coconut's location has organically received 4.5+ star ratings on Yelp and on TripAdvisor. Coconut's Fish Cafe was born from a wish to have high-quality, healthy, ono fish served to neighbors, friends and ohana. That vision began to grow as word spread about a new, stylish, fast-casual eatery where the food was unmatched and the service centered on aloha. Now, we remain that same family business but with a much larger ohana to serve. Our flavors play tribute to our Hawaiian home as well. Your bites may feature mango, wasabi, coconut, pineapple, and ginger. Our signature, homemade coleslaw's bright flavors are driven by coconut milk, an ingredient we use to make our coleslaw not only unique, but healthier. We've even incorporated some of our family recipes, with Founder Michael Phillips offering customers his mother's Cocktail Sauce, Caesar Salad Dressing, and Seafood Chowder. Understanding what we've designed for you is an essential part of fully experiencing our food. 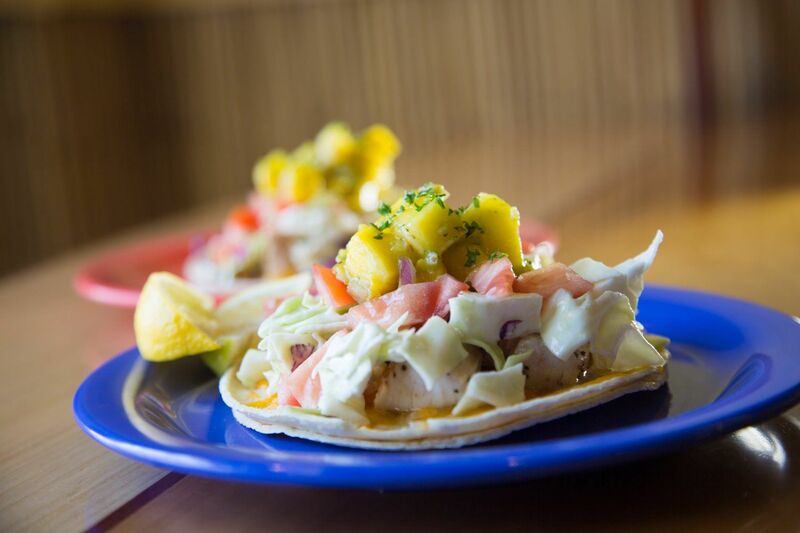 Ingredients melded together to create complex flavors and couple that with 7 different layers of textures, including both freshly cut and perfectly grilled Mahi-Mahi and Ono – that's your first bite of a Coconut's Fish Cafe fish taco. Slight spiciness of the wasabi in the coleslaw is balanced with the coconut milk, crispy coleslaw topped with fresh tomatoes; a mango salsa balancing a red tomato-based salsa; melted cheese on top of crispy grilled tortillas – eat them with your hands, enjoy making a mess, and experience our famous fish tacos. Ono - Ono is a white fish, very lean in its nature. Many local customers in Hawaii choose Ono for fillets. It is often described as having a firm, meaty texture and a stronger flavor. Ono, is called Wahoo in other parts of the world. The use of Ono in Coconut's fish mixture brings texture and flavor to the mix. Mahi-Mahi – Mahi-Mahi is a light, very moist, white fish. A world-wide fish, Mahi-Mahi is known by varying names: in California, it can be referred to as Dorado; in the South East it can be referred to as Dolphin Fish. At Coconut's Mahi-Mahi helps being a light and juicy texture to the mixture of fish. It is often described as having a milder taste than most people are accustomed to in fish. Ahi - Ahi tuna is often prepared seared rare and complemented by wasabi. Used often for sushi, Ahi has a slightly briny taste and a soft texture when prepared rare. Our ginger wasabi sauce brings the flavor of wasabi but not the heat, and the spice of the ginger is balanced with a hint of sweetness. Available on fillets of Mahi Mahi and Ono. One of our spiciest sauces is based on chipotle peppers. Its vibrant orange color warns you of the heat contained within. If you want extra punch on your tacos or fillets of Mahi Mahi or Ono, this is the choice for you. Our wasabi sauce is designed to tickle to the bridge of your nose with a flavor that naturally complements Ahi tuna. This sauce is only available on Ahi. One of our signature sauces, this recipe is one of our family secrets that we've brought into the restaurant to share with our Coconut's family. Available with our calamari dishes and fried shrimp dishes. Our tartar sauce is light and bright, very different from many of the tartars offered elsewhere. This sweet and spicy sauce comes with our coconut shrimp. With a hint of pineapple, many consider this sauce "drinkable." This sauce is designed to bring zesty, bright flavors with just a hint of spice to our Waikiki Fish Cakes.